Here is a little “How To” about installing Adobe Reader 9.4 in a Terminal Server/Remote Desktop environment. You can also use this procedure to install the Reader on Desktops. 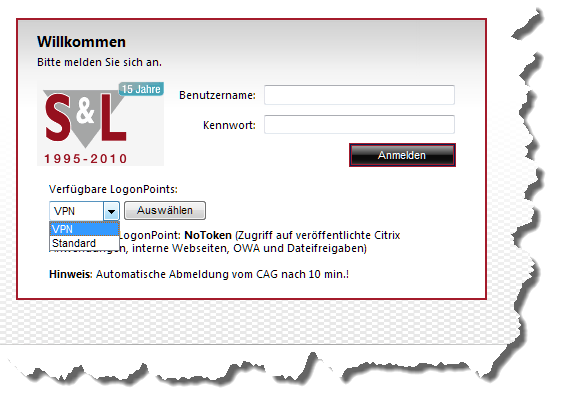 In Berlin I took a deeper look on CAG 5.0. I looks very smart, a complete new admin interface and user experience. Jay Tomlin from Citrix showed me the improvements and changes. There will be no “Standard” and “Advanced” edition any more, like we know it from now. You can do lots more with only the appliance but without an Advanced Access Control server. The AAC server is still present and only runs on Windows 2008 R2, but not necessarily required. The admin interface is browser based and runs with flash. All the net6 stuff is thrown overboard. The login page looks very nice, but at the moment the admin can’t do any customization, this will be possible later next year. There are improvements in the authentication progress and endpoint analysis. The CAG VPX (virtual appliance) will run on XenServer and VMWare, probably on Hyper-V next year. In the future Citrix plans, to introduce the new GUI to all VPX products, like NetScaler/Access Gateway Enterprise. Citrix released a new version of User Profile Manager, here you can read about the issues fixed in this release and here you can download UPM 3.2 after login to your mycitrix account. If you plan to update you UPM from version 2.x to 3.x you can only do this with the new 3.2 release, read the corresponding upgrade FAQ. There is also an update for the streaming client available, Offline Plug-In 6.0.1 fixed a lot of issues, Citrix recommends installing this update! This release has also full support for streaming Office 2010. So all you need is a client or server with XenCenter 5.6 and Powershell installed. Copy the lines in a file and name it “Free_space_after_deleting_snapshot.ps1” if you want. Edit the variables and execute the script. You have to allow unsigned Powershell scripts! I modified the Login.ascx file which is placed in the the root folder of each Logonpoint. 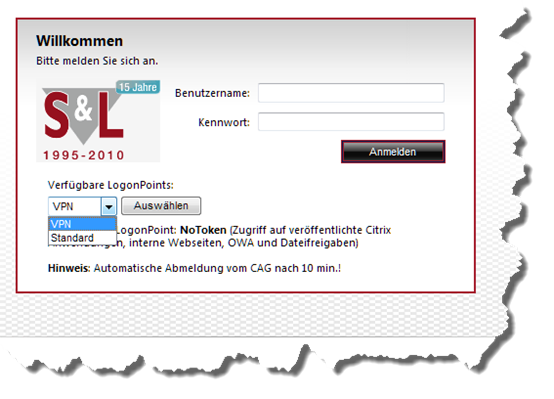 This will give your users the possibility to select a logonpoint from a checkbox. You can also place a short explanation to each LP. Just edit the red lines to match your environment. I heard about a new Access Gateway these days, there is also a beta test for some users going on, I can’t tell you much about it, but I think CAG 5.0 will be released soon. In Q4 there will also be a new Advanced Access Control Server. It’s really time for an update, installing AAC 4.5 with Hotfix 5 on Windows 2003 x86 is not up to date… I’m looking forward to the new releases and I will keep you informed. Citrix released Merchandising Server 2.0 Virtual Appliance for XenServer and VMWare. There is also a new Receiver 2.0. You can update your Merchandising Server 1.x to 2.0. Download the new version from mycitrix.com.